Athens, Ga. – Judges have selected 33 products to compete in the final round of the University of Georgia’s 2016 Flavor of Georgia Food Product Contest March 14-15 at the Georgia Railroad Freight Depot in Atlanta. This year marks the 10th annual Flavor of Georgia contest. 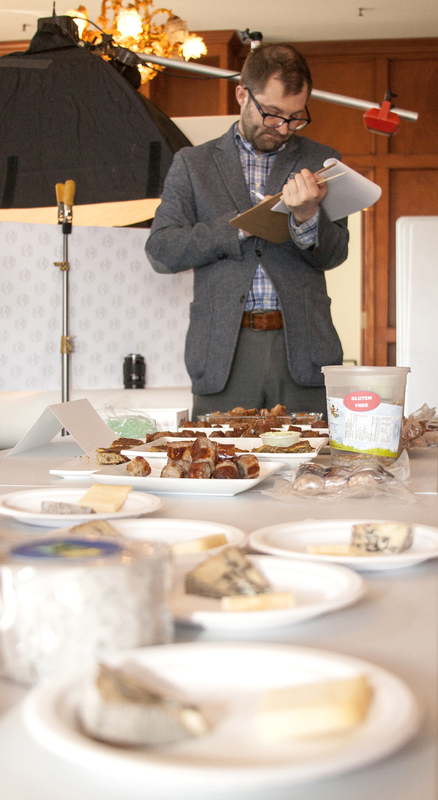 Over the last decade, the contest has grown in scope and prestige but remains the state’s premier testing ground for both small, upstart food companies and time-tested products. The 33 finalists, who have passed the first round of judging, were selected from a field of more than 135 products in 11 categories, the largest field in the contest’s history. Finalists will bring their products to the final round of judging as part of Gov. Nathan Deal’s Ag Day at the Capitol. “Each year it becomes more difficult to select finalists because each year the field of products submitted to the Flavor of Georgia contest is better, more diverse and more innovative than the year before,” said Sharon P. Kane, contest coordinator and an economist with the UGA Center for Agribusiness and Economic Development in the College of Agricultural and Environmental Sciences. Judges for the final round of the contest will include food brokers, grocery buyers, chefs and other food industry experts. They will judge each entry based on commercial appeal, Georgia theme, taste, innovation and market potential in each category. This year’s finalists are listed below by product name, company and city. All finalists receive a one-year, silver-level Georgia Grown membership from the Georgia Department of Agriculture and a customized Flavor of Georgia logo for their label and promotional materials, along with the opportunity to pitch their product to grocery buyers and food industry professionals who judge the final round of the contest. Category and grand prize winners will receive trophies, and the grand prize winner receives complimentary exhibit space at the Georgia Food Industry Association’s annual conference and consultation services from the UGA Food Product Innovation and Commercialization Center. The Flavor of Georgia Food Product Contest is organized by the UGA College of Agricultural and Environmental Sciences’ Center for Agribusiness and Economic Development, with support from Georgia Center of Innovation for Agribusiness, the Office of the Governor, Walton EMC, the Georgia Department of Agriculture and the Georgia Agribusiness Council. More information about the contest is available at http://flavorofga.com/ and by following the contest on Twitter at @FlavorofGA and on Instagram at www.instagram.com/flavorofga.